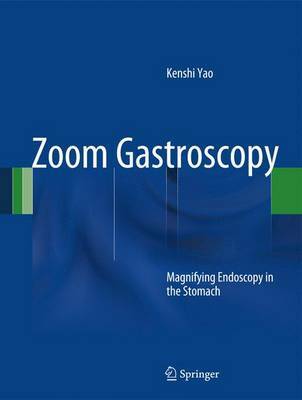 Since magnifying endoscopy of the stomach, or zoom gastroscopy, was first performed at the beginning of the 21st century , there have been numerous findings in the field worldwide. The author of this volume has developed a standardized magnifying endoscopy technique that enables endoscopists to constantly visualize the microanatomy (subepithelial capillaries and the epithelial structure) within the stomach. With this technology, it has become easy to obtain magnified endoscopic findings. Techniques differ, however, depending upon the endoscopist. Endoscopists around the world do not have a standardized magnifying endoscopy technique, which is mandatory for the scientific analysis of their findings. In addition, there is no logical explanation for how and which microanatomies are visualized by magnifying endoscopy with narrow-band imaging in the glandular epithelium of the stomach. This inconsistency results in considerable confusion among researchers and clinicians and a lack of terminology for the purposes of analysis. As magnifying endoscopy with narrow-band imaging (NBI) becomes more popular throughout the world, there is increased demand for a specialized reference book focused on this subject. The aims of the present volume, Zoom Gastroscopy: Magnifying Endoscopy in the Stomach, are manifold: (1) to illustrate the standard magnifying endoscopic technique that can visualize subepithelial mucosal microvessels as small as capillaries, the smallest unit of blood vessels in the human body, (2) to explain the optical phenomena and principles for NBI and its application to magnifying endoscopy, (3) to clarify which microanatomies are visualized by magnifying endoscopy with NBI and how this is achieved, and (4) to present a diagnostic system so called "VS classification system" for early gastric neoplasias. With a single author, the book consistently uses uniform anatomical terms to describe endoscopic findings, providing an essential reference for endoscopists in the world.